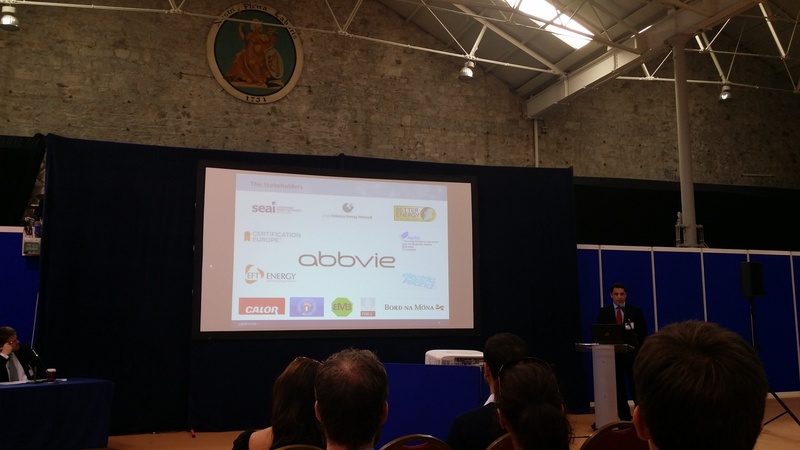 We recently attended the Sustainable Processing Conference in the RDS. The event brought together a collection of technology and service companies who have a hand in influencing Irish manufacturing by introducing cutting edge products for Food, Pharmaceutical, ICT & MedTech processing. Discussed were the challenges & benefits of implementing the latest energy efficiency systems, waste management, water treatment and control of CO2 emissions. Pictured is Peter Moran, Energy and Utilities Manager with Global Pharmaceutical Research & Development giant ABBVIE, giving a talk on Lean Six Sigma and EHS Compliance at the conference.